صرح الرئيس التنفيذي بشركه لوكيهد مارتن باتريك ديوار اليوم لشبكة رويترز في معرض دبي للطيران ان هناك برنامج لتحدث القوات البحريه الملكين السعوديه جراء منذ اكثر من شهرين مع نائب وزير الدفاع السعودي سلمان بن سلطان وايضاً مسؤولين سعوديين حول كيفيه ذلك. وقال انه بالفعل جرى اجتماعات مع الطرفين. وبحد ادني 12 سفينه .! وقال ان العدد يعتمد على اختيارات المملكه بحجم شكل السفن .! 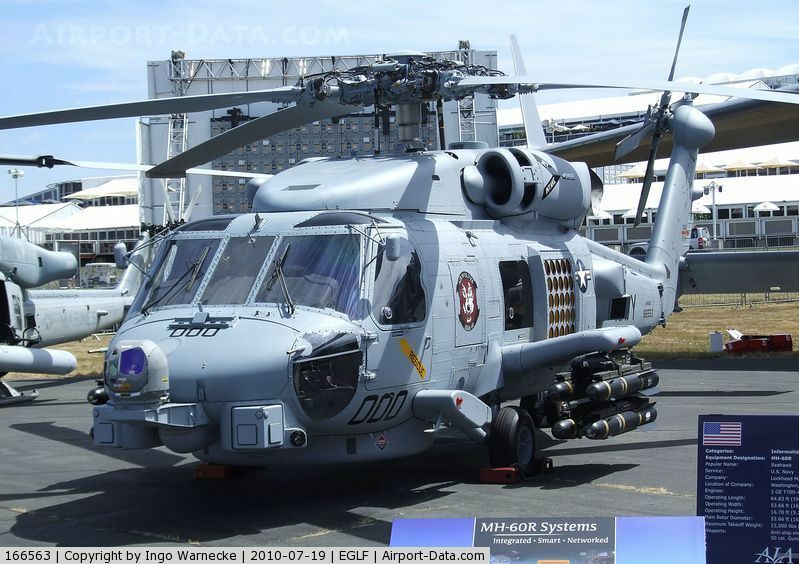 وتشمل المشتريات على مروحيات MH-60R و مروحيات من دون طيار . وقال بول رئيس تطوير الاعمال في الشركه في مقابله منفصله في معرض دبي ان السفينة lcs واحدة من السفن اللتي لا تزال يجري تقييمها من قبل المملكه . وكانت الولايات المتحدة تعتزم شراء 52 سفينه من هذا النوع ولاكن بسبب الضغوط على الميزانيه تقلصت تلك الأعداد .! رد: تصريح من لوكيهد مارتن. The country is moving forward with a naval upgrade, and the Maine company hopes to be part of it. Saudi Arabian officials say they are preparing to move forward with an upgrade to the country’s navy that could include a multibillion-dollar contract for Bath Iron Works, the Reuters news service reported Wednesday. This September 2011 file photo shows Bath Iron Works. Saudi Arabian officials say they are preparing to move forward with an upgrade to the country’s navy that could include a multi-billion dollar contract for the Maine ship-building company. A Lockheed Martin International executive spoke to Reuters at the Dubai Airshow, which is going on this week in the United Arab Emirates, after having a discussion with Saudi officials. If the Saudis chose the larger DDG-51, it likely would have fewer of the ships built, Reuters reported. Still, that would be a huge contract for BIW that likely would add jobs at the facility for years to come. The proposed Saudi naval expansion has been talked about for years, but no actual contracts have materialized. DeMartini said BIW officials would continue to closely monitor developments with the proposed Saudi program. اتمنى ان نتجه للفرنسيين في مجال البحرية. اريد رؤية السكوربين تسبح على الشواطئ السعودية. DUBAI, Nov 20 (Reuters) - Lockheed Martin Corp expects news about a multibillion dollar programme to modernise the Saudi Arabian Navy in the next several months, senior company executives told Reuters at the Dubai Airshow on Wednesday after meetings with Saudi officials. "We're hopeful in the next several months that some clarity will present itself on how they want to go forward on what hull, what design, and what mission equipment," said Patrick Dewar, executive vice president of Lockheed Martin International. Lockheed Chief Executive Marillyn Hewson discussed the naval modernization programme and other issues during the air show with Prince Salman bin Sultan, the Saudi deputy defence minister, who was appointed in August, Dewar said. "We understand the new Saudi deputy defence minister is doing his own assessment on how they should go forward," Dewar said. "We've had good meetings with them here at the show as well as in the (Saudi) kingdom over the last couple of months." U.S. executives and government delegates said they had not seen any signs of a chill in U.S. ties to Saudi military officials after Saudi intelligence chief Prince Bandar bin Sultan last month said the kingdom was hoping to make a major shift away from the United States. Saudi Arabia is continuing to evaluate a range of options for the naval modernisation programme, including purchases of up to 12 of Lockheed's steel monohull Littoral Combat Ship (LCS) or the larger DDG-51 destroyer built by General Dynamics Corp , executives said. General Dynamics had no immediate comment. The number of ships would depend on whether Saudi Arabia opted for the smaller or larger of the hull forms, they said. The Saudi Naval Expansion Program II, or SNEP programme, has been under discussion for years, but U.S. industry and government officials say the effort has picked up some fresh momentum in recent months. Earlier estimates had put the value of the programme at around $20 billion. Dewar said proposals submitted to Saudi officials by the U.S. government also included Lockheed's Aegis combat system, an MH-60R helicopter it builds with Sikorsky Aircraft, a unit of United Technologies Corp, and a fast missile craft it designed with VT Halter Marine, a unit of ST Engineering. He said no decisions had been made on the programme. Paul Lemmo, Lockheed senior vice president for corporate strategy and business development, told Reuters in a separate interview at the air show that the LCS ship was one of the options still being evaluated by Saudi Arabia. 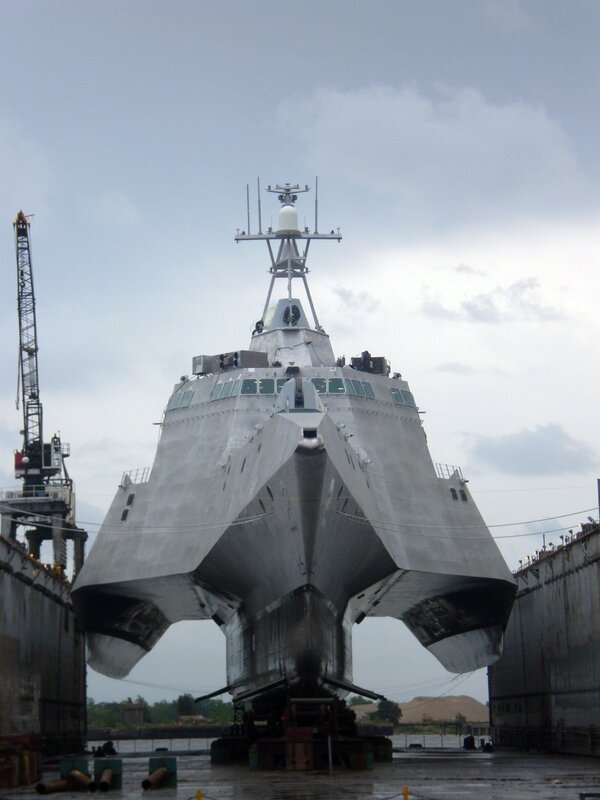 The USS Freedom, the first LCS ship built by Lockheed, this week picked up supplies in Brunei and joined the relief effort in the Philippines after completing a deployment in Singapore. The U.S. Navy had planned to buy 52 of the faster, more agile warships, but may scale back that order due to mounting budget pressures, which makes any possible foreign orders that much more important for Lockheed. Australia's Austal builds a different aluminium-hulled trimaran version of the LCS ship, but the Saudi government is not looking at possible purchases of that model at this time, U.S. officials said. The U.S. LCS ships were designed to carry interchangeable mission packages or "modules" for the Navy, but Lemmo said Saudi Arabia and other potential foreign buyers all wanted permanent weapons capabilities built into the ship. He said Lockheed had proposed outfitting the ship with a lighter version of the Aegis combat system that would carry vertical missile launchers and the Aegis SPY-1F radar that Norway installed on five frigates for Norway. That is a smaller radar with less range than the Lockheed SPY-1D radar that is installed on the DDG-51 destroyers built by General Dynamics. Lemmo said Saudi was still evaluating if it needed larger ships that could carry the large missile defence system, or a larger number of smaller, multi-mission ships. He said the smaller LCS ships could be outfitted with vertical launch systems that could fire smaller missiles, including the SM-2 missiles. من زمان والسعودية تفكر في اقتناء ال LCS ولكنها متردده بسبب عدم تحملها لي الايجيس. هناك مشكلة ما في مولدات الطاقة. الفرييم ممتازة جدا و اعتقد انه حان الوقت للاتجاه الى الغواصات ايضا. SPY-1D radar that is installed on the DDG-51 destroyers built by General Dynamics. 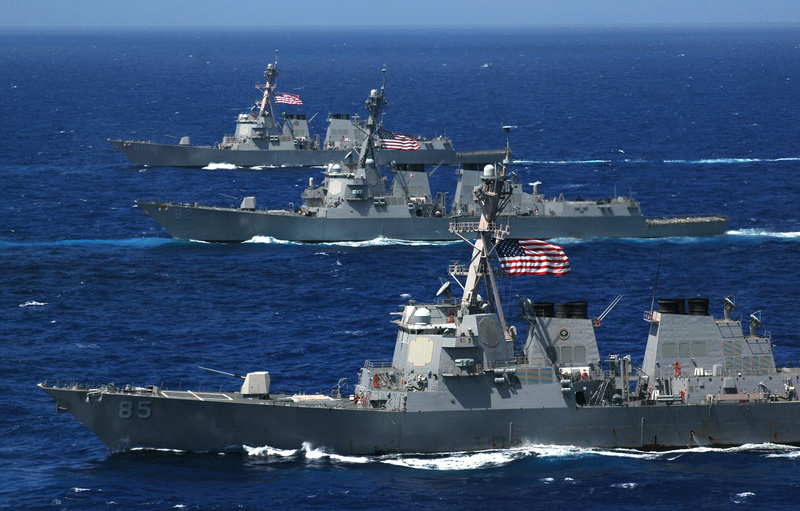 Dewar said proposals submitted to Saudi officials by the U.S. government also included Lockheed's Aegis combat system, an MH-60R helicopter it builds with Sikorsky Aircraft, a unit of United Technologies Corp , and a fast missile craft it designed with VT Halter Marine, a unit of ST Engineering.